How is cancer part of a normal healthy body? Humans constantly produce cancer cells, which are quickly destroyed by healthy immune systems. Sometimes, this normal process goes out of control, and the cancer cell begins replicating. If the body's defenses can not destroy the cells, it can develop into a noticeable tumor. The industry treating cancer is one of the largest of all branches of medical care. Billions of dollars are spent every year treating the diseases. Some critics charge the healthcare industry is taking the wrong approach. Many caretakers are looking at how strengthening immune systems can reduce the rates of treatable cancers. This style of healthcare is centered on prevention, encouraging the body to treat itself naturally. 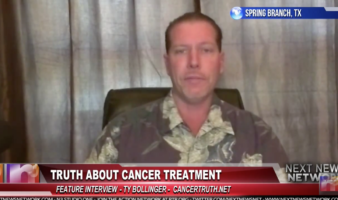 Bollinger is our guest on the show today. We will talk about the nature of cancer, and what turns this process into a potentially life-threatening experience. We'll also discuss what people can do to become a victim, as well as the future of treatment.